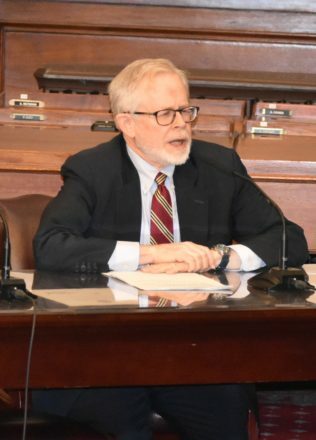 When information leaked to the Empire Center, a fiscally conservative think tank, that Assemblyman Richard Gottfried, a Democrat from Manhattan, was planning to sponsor legislation that would reverse the effects of the Supreme Court’s recent Janus decision limiting the power of public sector unions, it swiftly attacked the bill as unconstitutional. The Janus ruling on June 27 held that public sector unions cannot force employees covered by collective bargaining agreements to pay membership dues. Five days later, Gottfried circulated a memo to members of the Assembly summarizing his proposal, which would allow unions to collect reimbursement for the costs of collective bargaining from the state rather than from employees who opt out through agency fees. Absent an intervention like Gottfried’s, the Janus decision will start draining funds from unions. Last week, it was reported that the National Education Association, the nation’s largest teachers union, announced it will cut its budget by $28 million. The Supreme Court’s 5-4 decision, which was split along the usual conservative-liberal dividing line, ruled that the government cannot compel employees to support collective bargaining because to do so infringes on the free speech rights of anti-union workers. NEW YORK (WCBS 880/CBS News/AP) — A U.S. Supreme Court ruling issued last week will make it more difficult for unions to collect dues from people who do not want to pay. Now, a New York state lawmaker has a plan to circumvent the decision. “I think this is about fundamental fairness,” said Assemblyman Richard Gottfried (D-Manhattan). The state Department of Labor has issued an emergency update to its minimum-wage regulations that reinforces its longstanding guidance to home health care employers to pay workers for just 13 hours of a 24-hour shift. The policy, known as the ’13-hour rule,’ helps control state spending on home care, which accounts for about 11% of the Medicaid budget. But it conflicts with three New York appellate court decisions issued in April and September that threw the home care industry into a panic. The rulings said home health aides who don’t live full time with their elderly or disabled clients should be paid for every hour of a 24-hour shift. Although the Labor Department says workers don’t need to be paid for time spent sleeping and eating, the courts ruled they should be paid as long as they’re required to be at work. The Executive Board of SDC, the theatrical union representing Stage Directors and Choreographers across the United States, unanimously voted to endorse the New York State Health Act (S4840) and the New York Health Program (A4738), sister bills designed to establish universal single-payer health care for all New York residents. SDC’s endorsement of S4840 and A4738 is combined with a rejection of H.R. 1628 (AHCA), the GOP sponsored bill that passed the House of Representatives in May. The AHCA will reverse the expansion of Medicaid under the Affordable Care Act and is estimated to remove health care coverage from over 20 million Americans, discriminate against preexisting conditions, allow states to opt out of coverage like maternity care, and defund Planned Parenthood. ALBANY — Across upstate New York, agencies that provide health care services to home-bound patients say they are struggling to recruit and retain health aides, a shortage that is expected to become more acute as the population ages. Home health aides are the lowest-paid workers in New York’s health care system, with many earning less than $13 an hour for work that often involves late-night and weekend shifts helping the home-bound with bathing, meal preparation and other personal needs. The system that provides home care for New York’s ailing, elderly and disabled populations is in crisis due primarily to economic pressures, including a state reimbursement formula that has pushed some rural care providers to the brink of not being able to make payroll. On Wednesday, February 22, the Assembly Committees on Health, Aging, Labor, and Task Force on People with Disabilities will hold a public hearing in New York City on the crisis of New York’s inadequate home care workforce. Home care allows individuals to receive health care and personal services to live at home instead of in a nursing home or other facility. There is a growing shortage of home care services for the elderly, people with disabilities, and people who are chronically ill. Advocates note that there is a shortage of home care workers that is causing waitlists for these services across the state at a time when demand is increasing. Inadequate Medicaid funding for home care may be a significant obstacle to hiring and keeping people in the home care workforce. The hearing will focus on obstacles to recruiting, employing, and retaining a sufficient workforce. Witnesses are expected to include patient advocacy groups and self-advocates, home care and disability service providers, and home care workers and organized labor groups.